A modern wine estate with outstanding ratings since 1962. Monsanto produces the highly ragarded single-vinyard wine and available from 1964 only in the best vintages. 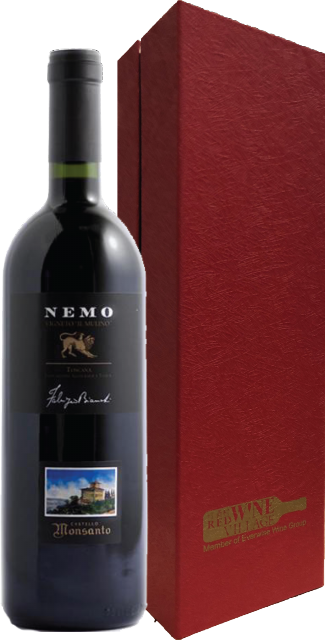 Born in the vineyard "Il Mulino", the first harvest was in 1982 – was well-suited to the avant-garde and pioneristic spirit of the company. After the vinification in steel, it ages for 18 months in oak barriques and ages another year in glass.